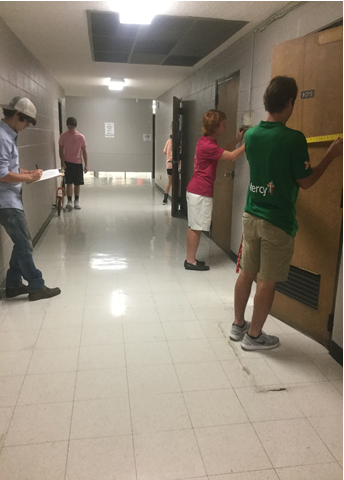 Description: Students dig deep into the engineering design process, applying math, science, and engineering standards to hands-on projects. It is about applying engineering, science, math, and technology to solve complex, open-ended problems in a real-world context. Students focus on the process of defining and solving a problem, not on getting the "right" answer. 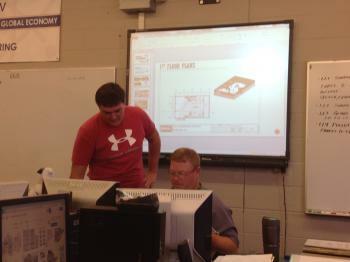 They work both individually and in teams to design solutions to a variety of problems using 3D modeling software, and use an engineering notebook to document their work. This course will provide students who are interested in Engineering or any Science, Technology, or Mathematics, a basic knowledge to build their career. This course also applies critical thinking, and problem solving skills that will benefit a student in any area of study. 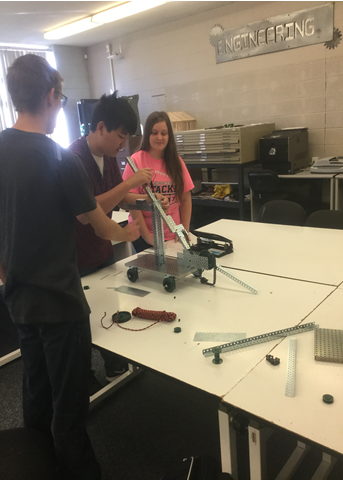 Description: Through problems that engage and challenge, students explore a broad range of engineering topics, including mechanisms, the strength of structures and materials, and automation. Students develop skills in problem solving, research, and design while learning strategies for design process documentation, collaboration, and presentation. This course provides opportunities to develop highly transferable skills in collaboration, communication, and critical thinking, which are relevant for any coursework or career. This course will benefit any student interested in a STEM (Science, Technology, Engineering, and Math) career pathway. 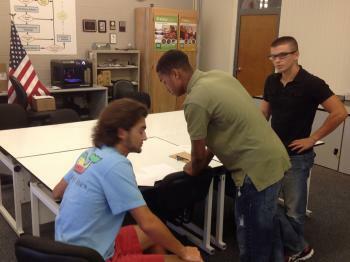 Description: Students learn important aspects of building and site design and development. They apply math, science, and standard engineering practices to design both residential and commercial projects and document their work using 3D architecture design software. This course is supportive of many career clusters, however, is directly linked to the Industrial & Engineering Technology cluster including the Architecture, Construction, Transportation logistics, Infrastructure planning, plus many others. The 2 hour credit may only be offered this year, or possibly every other year.